We really love this breed and we would like to inform you not only about News in our breeding station, but we want to promote this incredible breed. 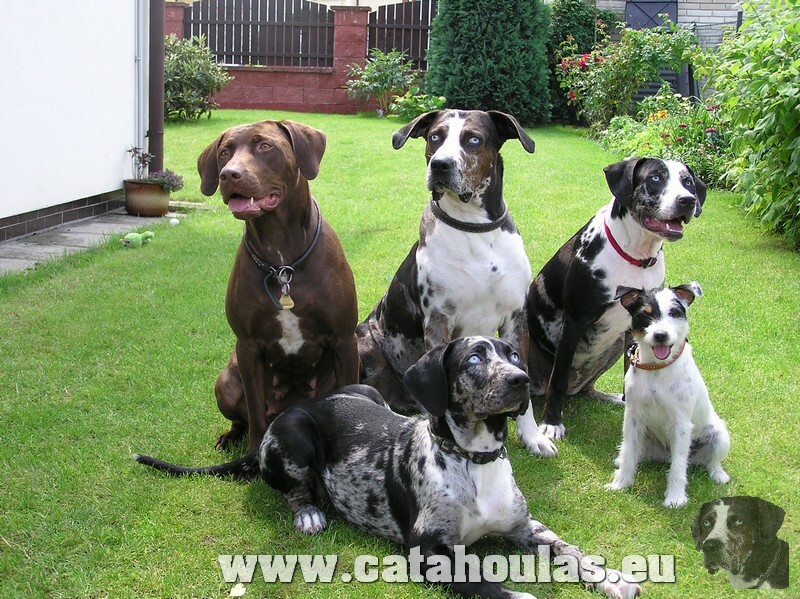 On our webpage you can find all result of our dogs in various activities, such as coursing, frisbee, canicross and so on, we will let you know about new litters, provide you lots of interesting and perhaps useful information. "According to writer Jorge Luis Borges, the idea of the Zahir comes from Islamic tradition and is thought to have arisen as some point in the eighteenth century. Zahir, in Arabic, means visible, present incapable of going unnoticed. It is someone or something with, once we have into contact with them or it, gradually occupies our every thought, until we can think of nothing else. This can be considered either a state of holiness or of madness." 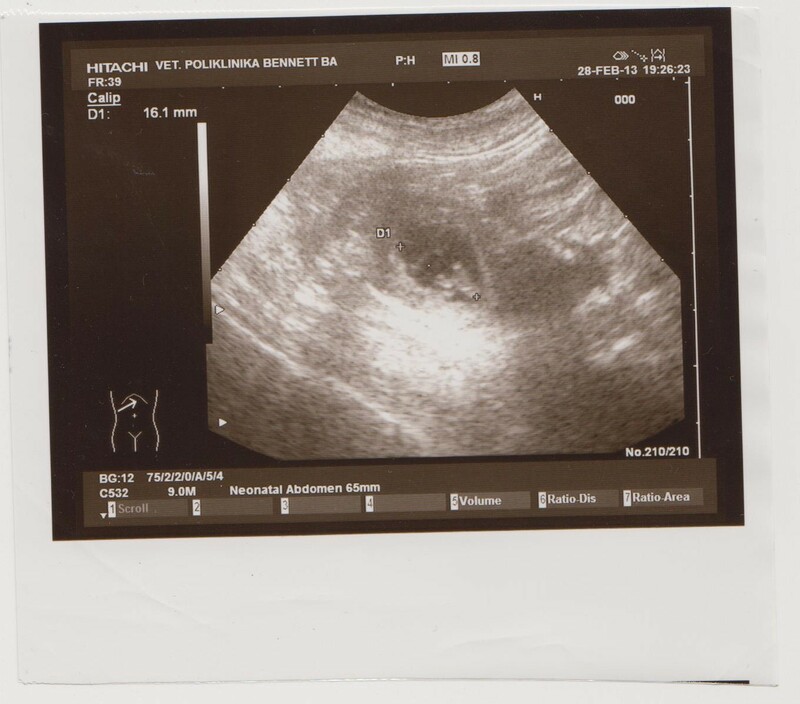 We chose name of our breeding station ”My Zahir”, because this citation give us a true picture of our feelings, that we feel about life with Louisiana Leopard dog , our life partner. 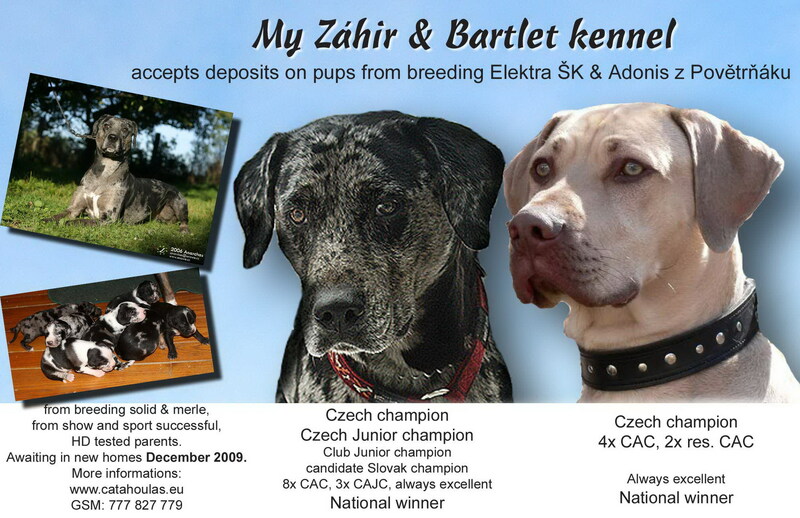 When you take the puppy from our breeding station, your new catahoula will be your Zahir too. Sensation will be incredible. We wish you great time spend on our webpage. If you have any question or suggestion don´t be hesitate and contact us. Show competition Top Dog 2012 - Our JOY 2.place!! 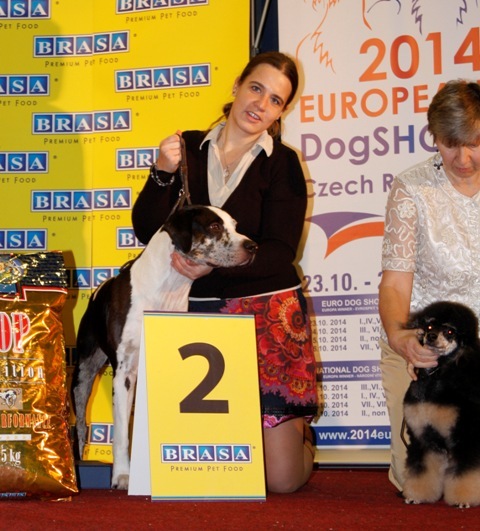 We are glad to announce, that we got amazing result of annual official show competition organised by ČMKU (Czech cynologic union)ČMKU Top dog 2012. Merry Christmas and best wishes in New year!!! 06.07.2009: We are planing new litter, for more info please contact me! 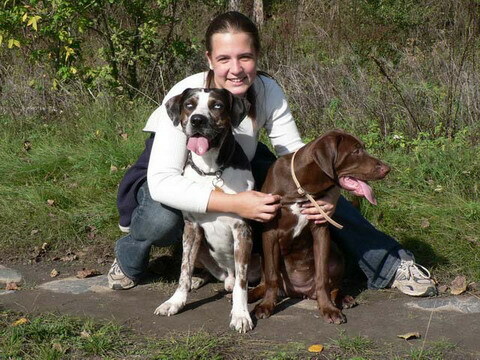 26.05.2009: All pups have their new homes!! 23.03.2009: Pups are three weeks old, have new pictures and still some looking for new home!